In a scathing commentary on Prime Minister Narendra Modi's governance ahead of his visit to the United Kingdom (UK), to take place in November second week, the powerful international journal "Newsweek" has wondered if "India is being run by an embattled, authoritarian and repressive regime, supported by vigilantes." 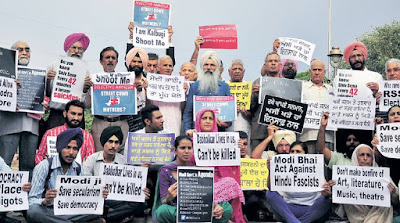 In an opinion article by John Elliott, titled "Narendra Modi’s Rule in India Threatened by Holy Cows" and a photograph showing the family of lynched Dadri victim Mohammad Akhlaque with a sub-title "Modi Islamaphobia India", the top weekly said, such a view "contrasts sharply with the friendly open “make in India” economic-growth face that Modi displays on his frequent visits abroad — and will do again in the UK next month." The importance the weekly gives to the opinion article is proved by the fact that it chose to reproduce an article which first appeared on the "Riding the Elephant" blog. An India hand, Elliott is the author of "Implosion: India’s Tryst With Reality" (HarperCollins, India). Newsweek said, "India has been hit by waves of growing religious and social intolerance since Narendra Modi’s Bharatiya Janata Party was elected 18 months ago. This has flushed out some of the Hindu nationalist party’s most stridently anti-Muslim voices, and has also sharply increased liberal concern about where a Modi-led India is heading." It commented, "For the most part, Modi and his fellow ministers have done little to restrain the extremists though; facing the possibility of failing to win the state of Bihar’s current assembly elections, they have been trying to defuse a row over eating beef that has escalated into a national issue." "So serious has this issue and other examples of prejudice and intolerance become — and so silent was Modi and his fellow ministers — that Pranab Mukherjee, the country’s president, has broken tradition by speaking forcefully on a current topic. He has twice called for restraint in recent days, expressing 'apprehension about whether tolerance and acceptance of dissent are on the wane',” the weekly underlined. 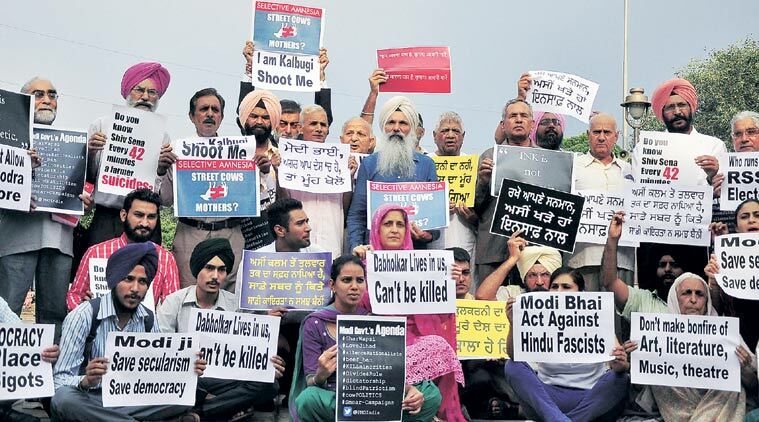 "The events have confirmed the worst fears of those who opposed Modi’s election last year. They have also damaged India’s image abroad, which has already been hit in the past two or three years by evidence of widespread rapes, caste-based repression and violence and endemic corruption", the weekly pointed out. Giving examples of lynching of Mohammad Akhlaque in Dadri in September on rumour of beaf eating, and the killing of MM Kalburgi, the 76-year old Kannada writer in August, the weekly said, "The lack of official condemnation of this and other similar killings, and the failure of the Sahitya Akademi to condemn the slaughter and commemorate the life of one of its awardees, led to a stream of protests from other authors." The weekly believed, "A prime minister might be expected to be more outspoken about such a crime, but it fitted with his approach to all controversial anti-Muslim events and extreme Hindu nationalist remarks since a government minister soured the government’s image and undermined the apparent supremacy of its economic agenda last November when she implied that non-Hindu’s (i.e. Muslims) were illegitimate." I did not say that "India is being run by an embattled, authoritarian and repressive regime, supported by vigilantes". I said that this was the implication of what has been happening, and made that statement in order to point out how it "contrasts sharply with the friendly open “make in India” economic-growth face that Modi displays on his frequent visits abroad – and will do again in the UK next month".